This is a photo of a wonderful arachnid known as Pseudocellus paradoxus. It is a Ricinulid, a rare order of arachnids. I am fortunate to be able to provide pics of this rare arachnid. This Arizona Scorpion site copyright Rich Ayrey 2011. 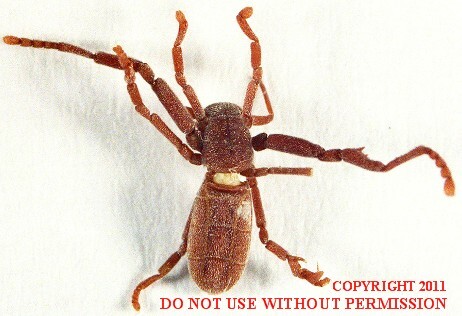 This Arizona Scorpion page created 10/04/11.